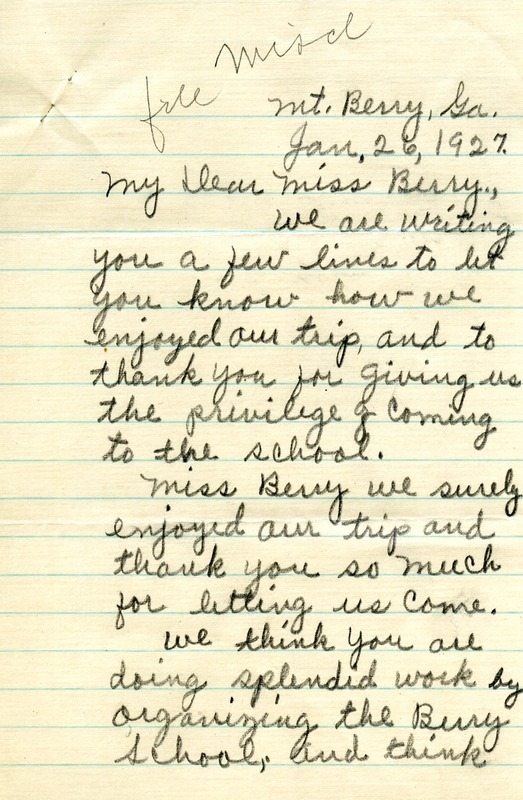 The Possum Trot children are thanking Martha Berry for letting them visit the Berry School. They mention that some of them were able to visit the dining room, which they enjoyed very much. 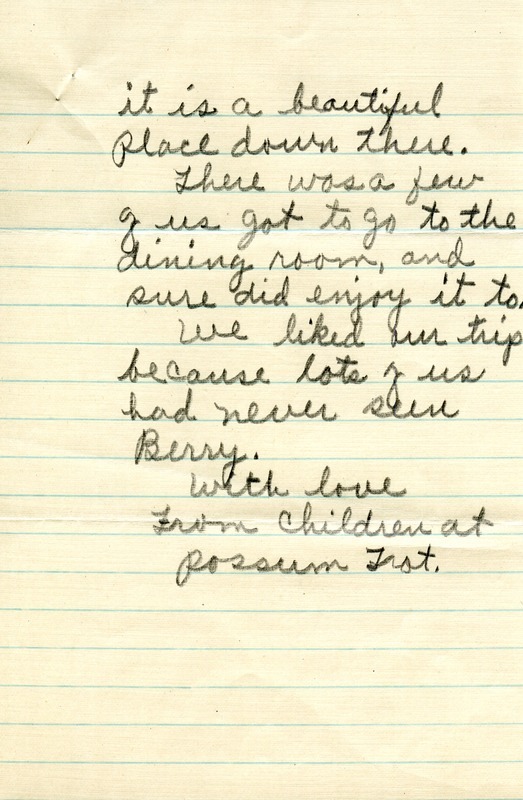 The Children at Possum Trot, “Letter to Martha Berry from Possum Trot Children.” Martha Berry Digital Archive. Eds. Schlitz, Stephanie A., Chelsea Risley, Marisa Mark, et al. Mount Berry: Berry College, 2012. accessed April 21, 2019, https://mbda.berry.edu/items/show/5285.